If you are looking for unique flowers to complete your bridal look, then look no further: this year, the calla lily wedding bouquet reached high levels of popularity and the options are timeless and extremely varied. Calla lilies make gorgeously elegant wedding flowers, be it the case of bridal bouquets or centerpieces that feature this sophisticated plant. 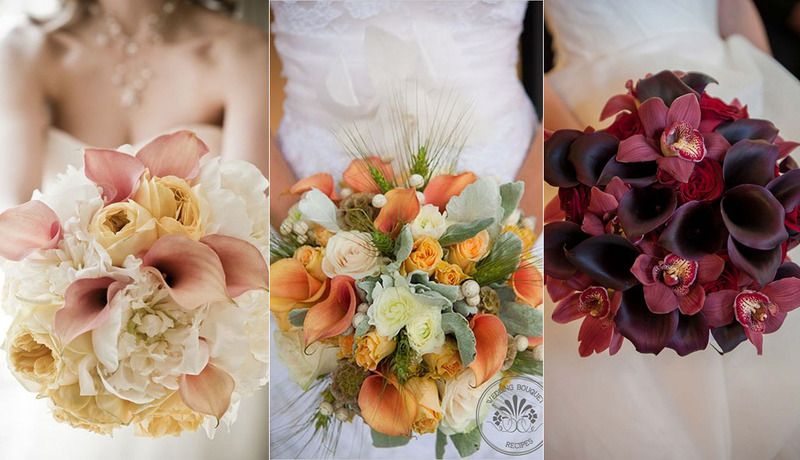 Here’s our top 18 of the most beautiful calla lilies bouquets for an elegant wedding day.